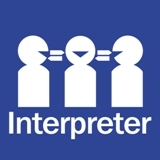 The Queensland Health Interpreter Service sources interpreters through an external interpreting agency. The current contracted external service provider is ONCALL Interpreters and Translators. This contract is reviewed and put out to public tender. Some Health Service Districts directly contract individual interpreters in high demand languages. These contracts are advertised publicly. However, the primary source of interpreters on a statewide basis is via the contracted external service provider. Contact the Queensland Health Interpreter Service for more information about how these contracts are advertised.